Barrett’s esophagus develops as a complication of gastroesophageal reflux disease (GERD). The tissue that lines the esophagus is affected to the extent that it more resembles the tissue of the intestine. There are no direct symptoms related to this GI condition, although patients will likely experience symptoms of GERD. If you have been diagnosed with GERD or are experiencing any of the symptoms, it is important to consult with a gastroenterologist right away. Dr. Yamini has the qualifications, knowledge and experience to diagnose GERD and any related complications such as Barrett’s esophagus. 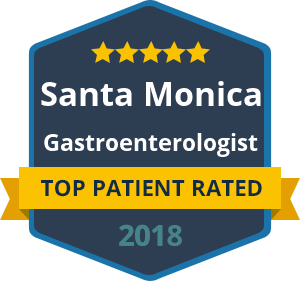 You can visit offices in Santa Monica or Beverly Hills and receive a comprehensive examination to determine the root cause of your symptoms. While there are no noticeable symptoms of Barrett’s esophagus, there are risks involved that patients should not ignore. What are the Symptoms and Causes of Barrett’s Esophagus? The symptoms of Barrett’s esophagus include a sore throat, sour taste stemming from the throat, a chronic cough and laryngitis. These symptoms can range from mild to severe, so it is always recommended that patients seek a diagnosis to rule out GERD, including Barrett’s esophagus as a secondary complication. The condition is typically caused by acid flowing back into the esophagus, which can eventually lead to the cells being replaced with intestinal type cells. Patients who suffer from this condition may also develop cancer of the esophagus due to the abnormality of the cells. If you are suffering from acid reflux-like symptoms, it may indicate the development of Barrett’s esophagus and an increased risk of throat cancer. Dr. Yamini will provide a complete diagnosis as well as any necessary treatment. Contact the offices of Dr. Yamini today if you are experiencing any of the symptoms of GERD to arrange a consultation. Your health is important, so do not delay in seeking treatment that you need.